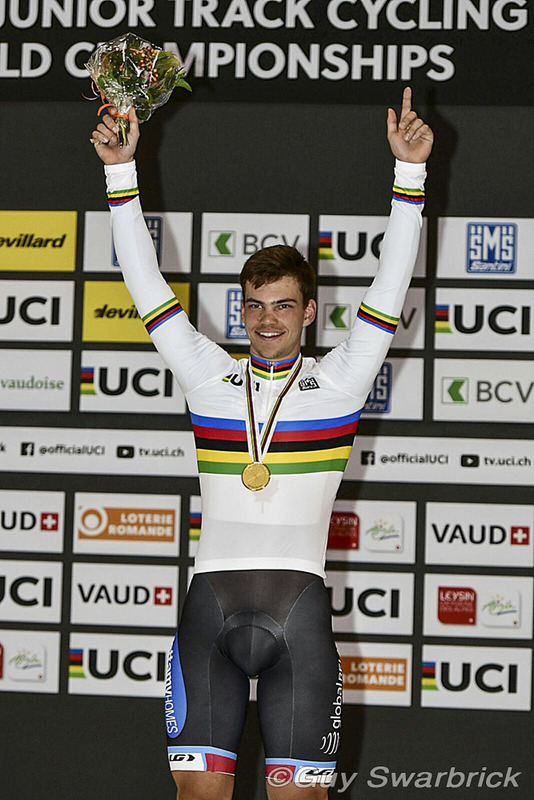 Canada won gold and silver medals on Friday at the Junior Track Cycling World Championships in Aigle, Switzerland. Stefan Ritter of Edmonton, Alberta, won the men's 1000 metre time trial, while Devaney Collier of Edmonton, Alberta, took silver in the women's Scratch Race. 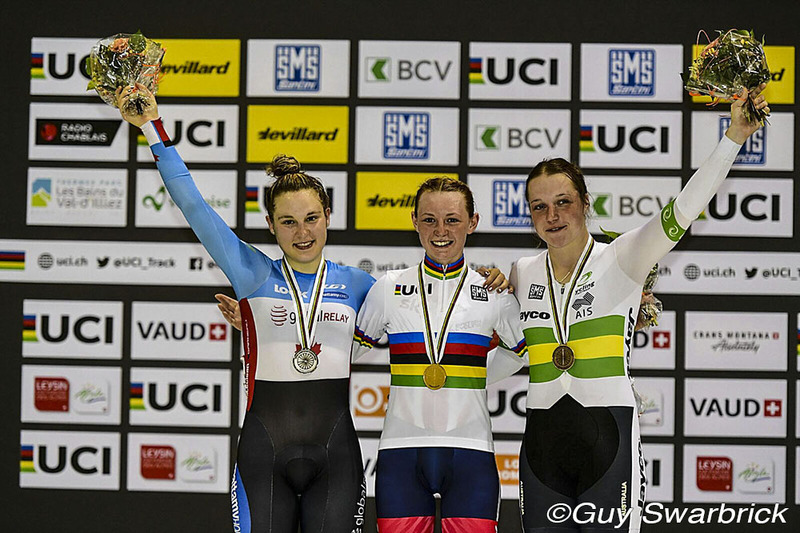 Ritter, who had finished just out of the medals in fourth a day earlier in the Keirin, was the 21st competitor out of 36 starters and set a best time of one minute and 1.673 seconds, averaging 58.372 kilometres per hour. His time is a new Canadian record for Juniors, and only 0.297 seconds off of the world record. Bradley Knipe of New Zealand finished second and Junggyu Na of Korea third. "This is pretty unbelievable," said Ritter. "I knew I was going pretty good after all the training we did at the [training] camp, but I didn't think I would be that fast." "It was very nerve-wracking but to be honest, I felt pretty confident about my ride. There were a few close calls because there are some great riders out there. I haven't done a lot of international racing so I don't really know them. I knew I had the speed and I felt good but I didn't think I was that fast. I still can’t believe it." In the women's mass start Scratch Race, Rebecca Raybould of Great Britain attacked with 11 laps to go to take the gold medal. Collier began chasing alone with four laps remaining and crossed the finish line alone in second place, only a few metres behind Raybould, with Kristina Clonan of Australia winning the bunch sprint for bronze. "It's really cool, and maybe slightly unexpected," said Collier, "but it just worked out really well. I think all the training really paid off. It [the World Championships] was number one on the list of goals this year. I was really happy just to get selected, and to get a good result was icing on the cake. I know Scratch Races can go any way, so I was planning to go as hard as I could and hope to get in a break."